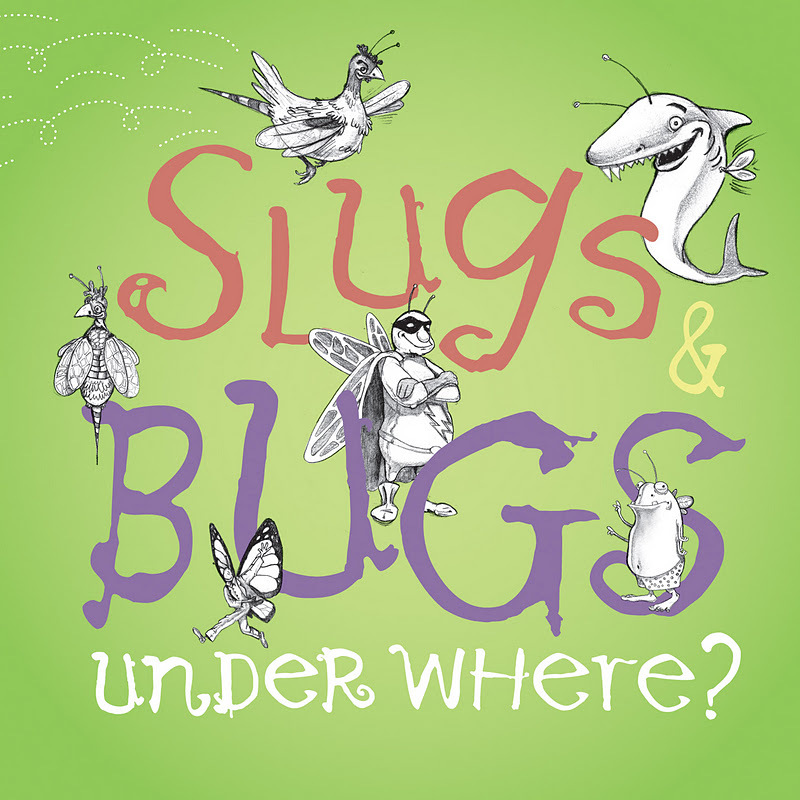 Ready-Set-Read: Review: Slugs & Bugs Under Where? 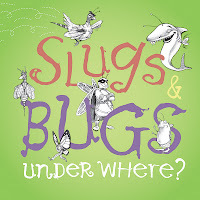 Review: Slugs & Bugs Under Where? We were in the Walmart checkout lane when Logan started singing. LOUDLY. I looked around, a little embarrassed. I know, I know, it's generally cute when a three year old sings. What was embarrassing was the content of the song. "There's a hole in my sock, a hole in my sock, what am I would do" * As people glanced at this little boy forced to wear holey socks, he sang louder and louder. Back on aisle four, the concert had begun with gusto. Logan was singing a different tune back there. Singing about something more holy than holey socks, he belted out, "God made you special and he loves you, he loves you. God made you special and he loves you, he loves you very much." Hurried shoppers had paused to smile. I wondered if they were smiling not only at the cute singing three year old but also at the truth of that song. The songs are reminiscent of Veggie Tales silly songs. (And in fact, Randall Goodgame has written songs for Veggie Tales- no wonder the similiarities). My kids are at the young age of still being a little freaked out by singing produce and often ask me to turn off VeggieTales. They can handle the silliness of singing dads on Slugs and Bugs, though. Probably because they have a silly singing daddy. Slugs & Bugs is for kids and parents. Our children need to learn that life with Jesus is a life of joy and celebration, and we parents need to remember that very same thing. Slugs & Bugs aims to provide a context for parents and kids to learn and remember together the joy of life in Christ, while also having a super-great time with silly songs about grizzly bears that don't wear underwear. And so I let Logan continue on with his tirade on holey socks. Most customers seemed fine with it, except for the scowl on one woman's face that seemed to be saying, "Darn it!" Slugs and Bugs is in stores now! You can purchase a copy at any Family Christian Store.You can also pick it up at their online store. You can hear several of their songs on their YouTube Channel. Tractor Tractor is a favorite from the first album. Disclosure: We purchased this Slugs and Bugs album and I wrote this review out of my sheer love of spreading good music. This is not a sponsored post. *The actual lyrics of "There's a hole in my sock"
"There's a hole in my sock, a hole in my sock. What am I to do?"